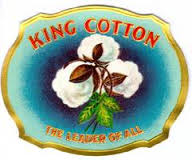 King Cotton , phrase frequently used by Southern politicians and authors prior to the American Civil War, indicating the economic and political importance of cotton reproduction. 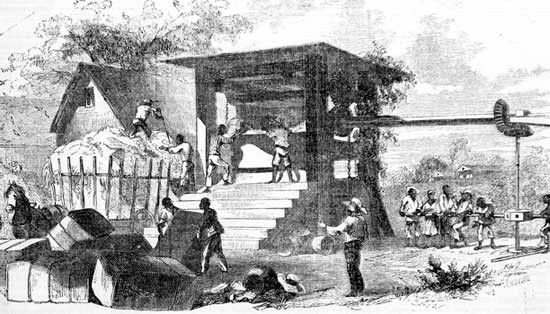 AFter the invention of the cotton gin (1793), cotton suprassed tobacco as the dominant cash crop in the agricultural eocnomy of the south, soon comprising more than half the total U.S. exports. This happened during the same time period as "king Cotton".